Something you will not find on touristic books. Something most people don’t know even if they live in towns around it. A magical place where constellations are mirrored on land. Around Etna you can find even this. Where is it? A secret place requires caution. Thomas loved Etna. A cave now will remember his name. Thanks to friends of “Centro Speleologico Etneo” who made this possible. 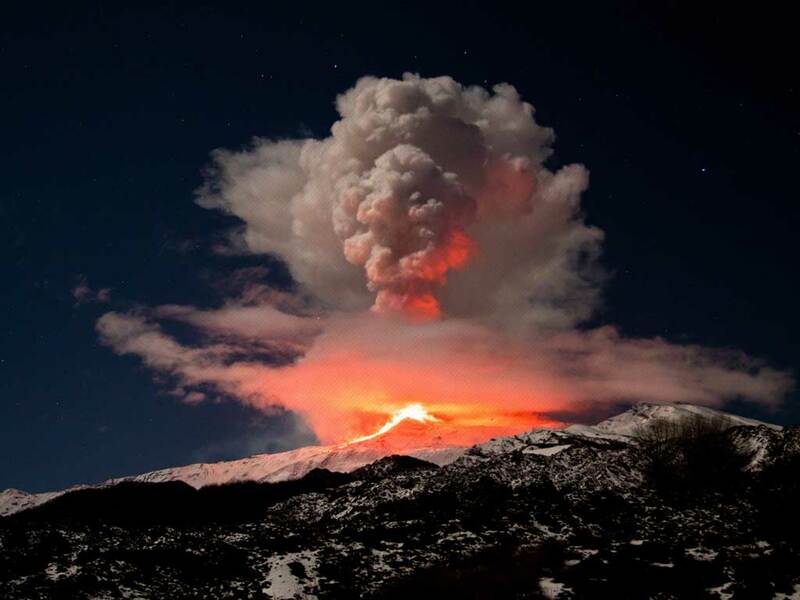 Yesterday evening “Olympic torch” on Etna! Merel got The Proposal. Sooner or later we will know if it has been accepted Meanwhile she sent us a photo sequence which demonstrates she’s mad with Etna and candidate to be a “Special Guest”! Henning’s eyes on our volcano with most of our special guests! You can recognize some families: Adlam-Stiles, Krabusch, Hennings with Reicharts between them! UPDATE: meanwhile, inside Bocca Nuova… (Please remember it is forbidden and dangerous to reach the top in this moment. Author of this video is an alpin guide).